TelAlaska has a cellular tower in Sand Point, as does AT&T, and GCI leases space on the existing public radio tower. Smartphone users will typically receive service through either AT&T or GCI. TelAlaska started delivering 3G cellular service in the community in the first quarter of 2016. Like the rest of the Aleutians and Alaska Peninsula, internet service in Sand Point is delivered via satellite. TelAlaska and HughesNet are the most common internet service providers in the community, especially at the residential level. GCI and other providers also have an internet presence, but the customers are mainly institutions (school, government, etc). 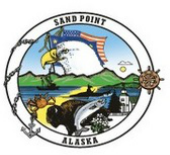 Because of the limitations of satellite- such as latency and reliability- internet speed in Sand Point is by no means classified as "broadband." The school and health clinic get the fastest and best service in the community due to their federal subsidies. The rest of the community, however, is dealing with speeds more typical of 1 Mbps down and up, at the high end. The City is working with different telecommunications providers to provide improved access for the community.